Portugal's second division could see an influx of Chinese players due to a clause in a major sponsorship deal. The Segunda Liga is set to be rebranded as the Ledman Proliga from next season, with plans to use the Portuguese system for helping to train Chinese talent, on and off the pitch. Chinese multinational Ledman initially said the top 10 clubs must include Chinese players and assistant coaches. But that proposal was withdrawn amid Portuguese players' union concerns. 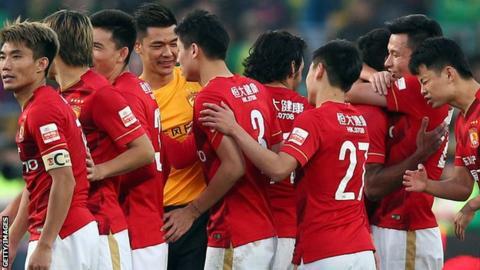 Instead, a spokesman for the league told BBC Sport that its board will vote to decide the number of Chinese and Asian players and which clubs they will play for. "Liga Portugal is open to help develop Chinese football, in forming young players, as the new Proliga is focused in promoting young talents," said a statement. Is China becoming a football superpower? Magazine: Did China invent football? Read more on Did China invent football?